We've all been a little overwhelmed by all the different terms applied to fashion. It's hard to keep up. 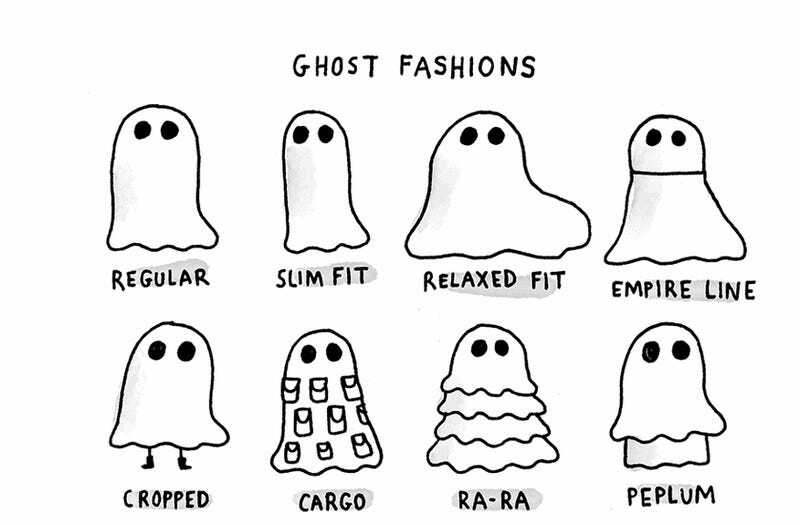 And then there's the ghost fashion world, where there should be nothing but time to do that. However, it's harder to be avant garde within the stricture of the traditional ghost outfit than you'd think. 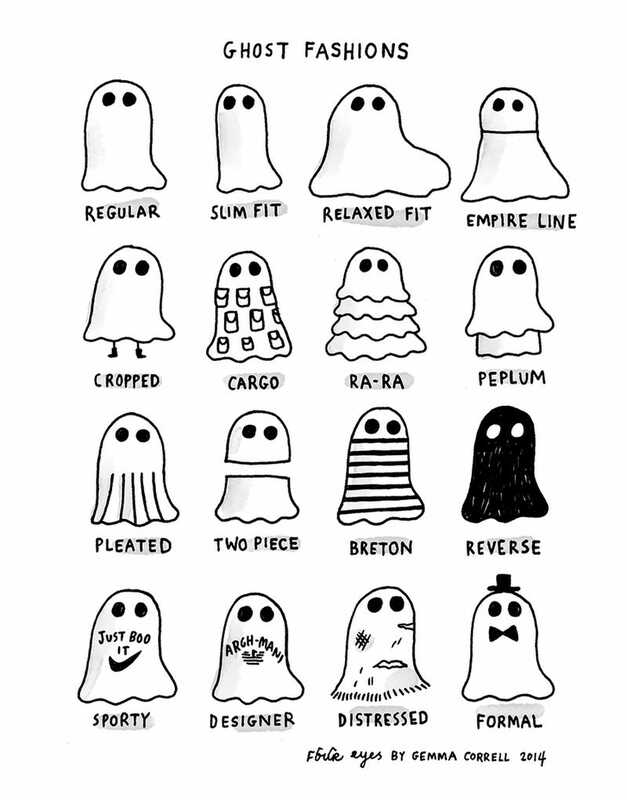 This comic, called "Ghost Fashions" is from Gemma Correll's Four Eyes Comic Strip. You can see more of her work at her tumblr, too.